The Smoker’s Club Tour is in full effect as Chevy Woods, Joey Bada$$, Ab-Soul and more continue to perform for sold out crowds state to state. 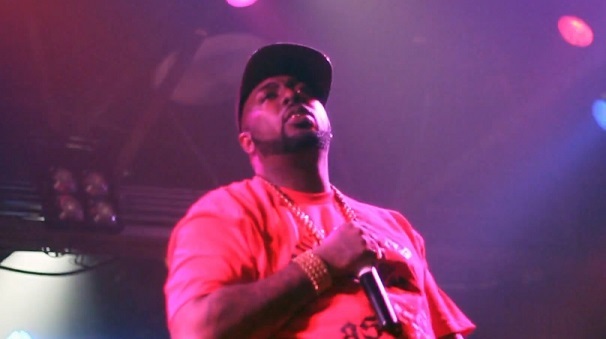 For the latest stop on the tour, fans in Houston, Texas over the weekend were treated to a special performance of “1 Up” from hometown hero, Trae The Truth. The rapper got the audience extra screwed up when he hit the stage during Chevy Woods’ live set to perform his latest single. This entry was posted in Live Performance, Video and tagged 1 up, chevy woods, hip hop, houston, I am king, rap, The Smoker's Club, tour, trae the truth. Bookmark the permalink.